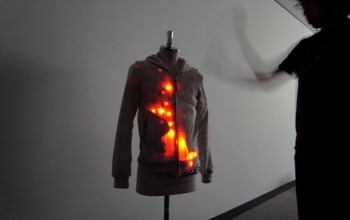 We have introduced a new display system, the “Particle Display System,” which can be installed by distributing physically separated “pixels” into a large and complicated environment. 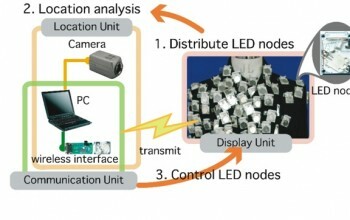 This system consists of hundreds of full-color and wireless Light Emitting Diode (LED) nodes with a PC and video camera. The wireless capability makes each node freely movable, without the distance limitation found when utilizing wire cables. 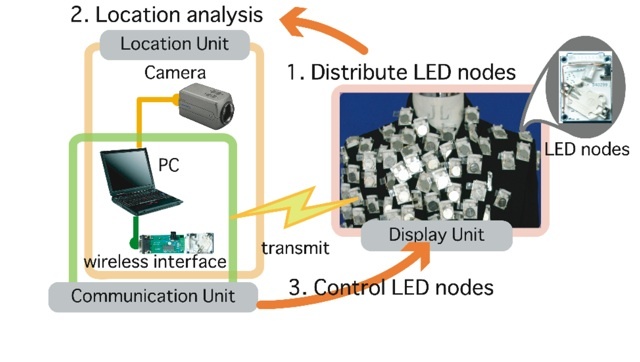 When processing the images from the camera, the system calculates the positioning information of each node and performs the timing control of the LED in each node in real time. 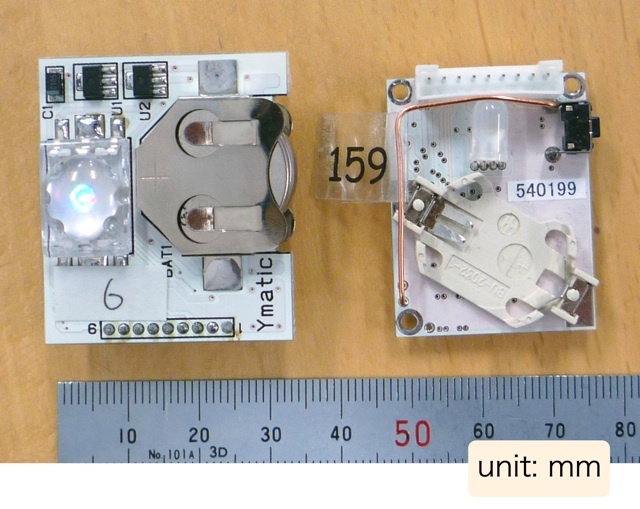 Therefore, users are able to design a uniquely arranged pattern in full-color in the real world by distributing and controlling the smart nodes. 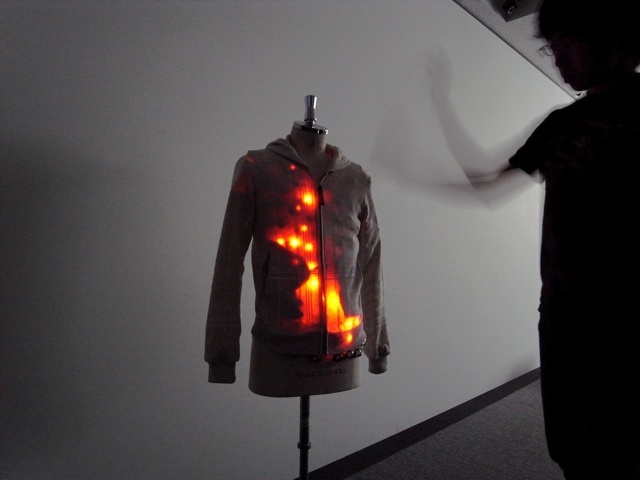 The “Particle Display System” can modify its resolution for illuminated graphics by changing the number and density of the distributed pixels. 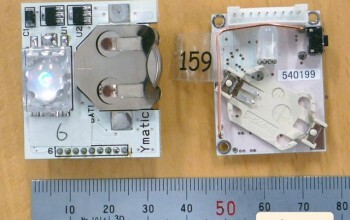 The users are able to change the number of pixels, depending on desired images. We have also proposed and implemented methods to maximize the representation capability by optimizing the display position of images with non-uniform distribution of pixels.